Sigma21 by Geberit is available in a stylish natural slate finish. Geberit’s range of round-button flush plates has expanded with the introduction of Sigma21. 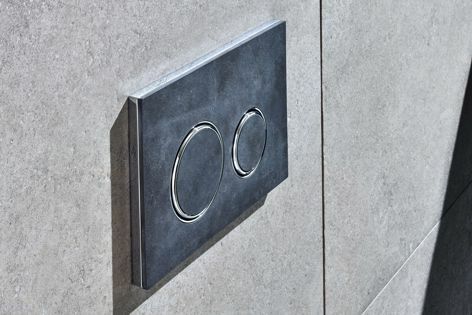 Available in three glass colours or in natural slate, the Sigma21 flush plates are based on the look of the Sigma20 series, with upgraded finishes and options.